“Marriage: A God Concept” from Christian Faith Publishing author Sandra Northern is a look into the concept of marriage as people view it today, and how the focus can be brought back to God. “Marriage: A God Concept”: a unique and insightful look into one of life’s most sacred institutions. “Marriage: A God Concept” is the creation of published author, Sandra Northern, a retired veteran of the United States Army and wife of nineteen and a half years. Published by Christian Faith Publishing, Sandra Northern’s new book breaks down the institution of marriage and how to distinguish a great one from one that’s not. Through realization that marriage is greater than just those that are married, and by inviting God in, good unions can last. While successful marriages are between two people who love each other, it also takes a certain knowledge that God plays a significant role. This book seeks to let readers know exactly what marriage entails and how to maintain a healthy relationship between partners and God. View a synopsis of “Marriage: A God Concept” on YouTube. Consumers can purchase “Marriage: A God Concept” at traditional brick & mortar bookstores, or online at Amazon.com, Apple iTunes store, Kobo or Barnes and Noble. 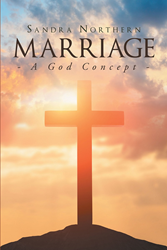 For additional information or inquiries about “Marriage: A God Concept”, contact the Christian Faith Publishing media department at 866-554-0919.